Reusable, quick release pins for fast assembly and disassembly. Made of spring steel to maintain tension. Handy kit for shop toolroom or toolbox. 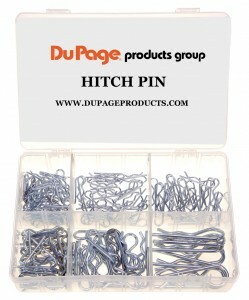 On hand when needed saves time and money. Plastic compartment box is easy to store. 42 - 3/32" x 1-3/16"
30 - 5/64" x 1-5/16"
25 - 5/64" x 1-9/16"
25 - 7/64" x 1-5/8"
20 - 9/64" x 1-3/4"
8 - 5/32" x 2-15/16"